In the last two weeks I watched two separate annual State of the wine Industry presentations. Both were focused on millennials and were worried that they aren't drinking as much wine as hoped. The reasons why were all in the reports. But the wine industry is pretty much doing the exact opposite of what millennials are saying they want. Why else would kombucha be so popular? Millennials care about what they put in their bodies. So what's the wine industry's response? Who other than Ridge admits adding anything -- even water? 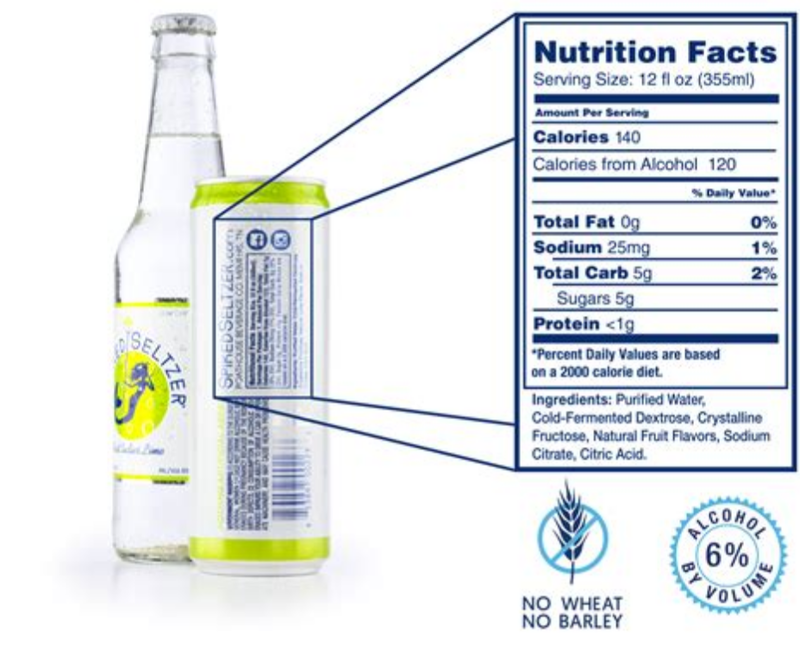 We're in a world where many young people think hard seltzer -- sparkling water infused with industrial alcohol -- is healthier than wine. 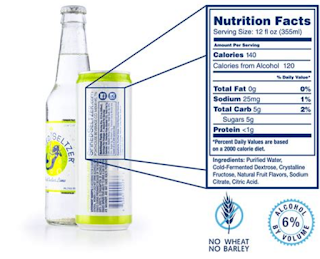 And no wonder, because hard seltzer at least lists its ingredients. Industrial wineries fear having to admit all the additives they're using. They should! 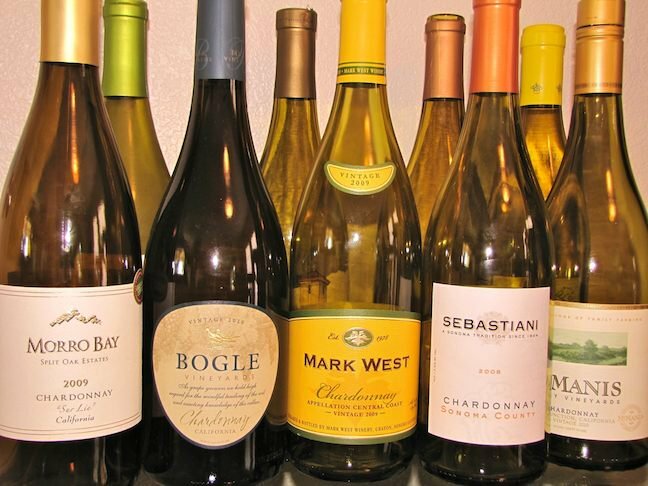 Standardized ingredient labeling would reward wineries which aren't using added chemicals. However, industrial wineries have all the political power, and they're bringing the industry down with them. * In the U.S., rather than commit to organic farming, the wine industry has created a bewildering mass of "sustainability" organizations, some of which are legit but most of which are simply greenwashing. Why do New Zealand wines keep rising in sales? Americans trust New Zealand on farming issues. It has a green image that is generally deserved. Once again, this is a case of big, powerful U.S. wineries with minimal environmental commitment bringing down the whole industry by lowering standards and trust. Amber LeBeau of SpitBucket blogged Wednesday on exactly this topic. But it's not as if the wine industry doesn't realize it. Rob McMillan of Silicon Valley Bank has talked about it for more than just this year. Glenn Proctor from the Ciatti Company grape brokerage talked about it this week. They know. They know! So what's their answer? The same juice in a cooler package. Unfortunately this has been the wine industry's answer to essentially every new market group for years. Critter labels when millennials reached drinking age. Somebody woke up and realized women buy more wine than men and voila, Cabernet with girly labels. It seemed so obvious to me. Industry experts were talking about how they have to change things up to be more interesting to millennials. Then, experts told us there are now huge surpluses of bulk wine in Cabernet Sauvignon especially, but also in Chardonnay and Pinot Noir -- and how those varieties are the overwhelming majority of what's being planted! And yet, the industry experts whom I asked to connect those dots refused to do so. Let me mention terroir for just a moment. Perhaps the most pleasant surprise for California wine in the 21st century has been how much good Pinot Noir terroir we have. There's good Pinot being grown all up the coast, and even more adequate, affordable Pinot than anyone thought viticulturally possible two decades ago. As for Chardonnay, here is a deep rabbit hole: three years ago, Richard Jennings punished his palate by tasting 230 grocery-store Chardonnays. I would want combat pay. It's a long article, but I encourage you to jump to the tasting notes and tell me, if you were 30 years old and looking for something interesting to drink, how many of these would you buy a second bottle of? Meanwhile, if you look at the wines millennials are excited about -- they are NOT heavily manipulated Cabs and Chards. Millennials like uniqueness. I did a story for Wine Business Monthly about amphora wines that hasn't run yet. One winemaker told me a few years ago he couldn't sell his amphora wines; now he can't keep them in stock. They're different. They're interesting. When I brought this up to grapegrowing moguls in Sacramento, they said that Napa Valley tried Sangiovese in the '90s and it didn't work. Try again! Maybe not with Sangiovese, because the Italians will always provide better value with that. But here's a novel concept for California: How about growing grapes that are actually suited to the climate in your area? And then telling the world about it. The wine industry knows this and is wringing its hands about it. A winery in Lake County can't easily offer a hopscotch tournament to its customers in Ohio. However, some companies have figured out how to make digital marketing seem closer-to-home, and more wineries could take advantage of what they've learned. Cameron Hughes stages events around the country, but also stays in personal contact with everyone on its mailing list. Naked Wines makes people feel like they're crowdfunding wines that are ... well, I'll just stop there, but the point is they make people feel involved in the process beyond just buying a bottle. I sometimes tell wineries that they should take their youngest employee and put them in charge of their social media program. Allow them to interact with people. Instagram videos are the hot thing right now but soon there will be a hot new thing. Hell, I'm not a millennial: maybe there already is. Point is, boilerplate crap about how your "handcrafted" wine is special and tastes really good, like crushed blackberries with delicious notes of chocolate and aloe vera, isn't going to impress anyone. Everyone is saying it. Companies like the Wine Group and Treasury are going to hire people who are better at saying it. Tell us who YOU are. Why you make the wines you make. What you like to do on Sunday mornings. Be a person! And people will relate to you as one. There's a reason Josh Cellars is the fastest-growing wine in America, and it isn't the juice. People think Josh is a real person. You can't compete with high-grade image creation; what you can do is actually be a real person. And don't be boring! Show us your hopes and dreams and pratfalls. That's all anyone wants. We want to root for you. Give us a reason. Follow me on Twitter: @wblakegray and Instagram @wblakegray and like The Gray Report on Facebook. "In Napa County, he said, the average tasting fee is $45." = To drink wine you might not enjoy and forced to listen to a Wine Club pitch. Hahaha. "The one price range doing well for wine in the US is $15-25." = That's what they can afford. $100 bottles? No. And from yours, "what you can do is actually be a real person." Exactly!!! "The same juice in a cooler package. Unfortunately this has been the wine industry's answer to essentially every new market group for years." It sounds like the American way of marketing. Having problems selling a product? Don't try to improve the product; change the packaging. This is truly an on-point blog post. I haven't tasted a California wine in quite a long time. The rest of the world offers more variety, less chemistry and better prices--and I am not a Millennial. Again, Cabernet-Sauvignon… my late friend Franz who did teach me understanding and tasting wine noted once that starting to like Cabernet-Sauvignon (in form of Bordeaux) is a question of age… Now, the problem is if you are interested, and want to start a (even small) cellar, you may have to buy wine you don't actually like, but will like in 10, 15 years or so… So, if the California wineries want to attract younger people, they better forget about cheap, crappy Cabernet-Sauvignons. As a millennial in the wine industry, thank you for this post! 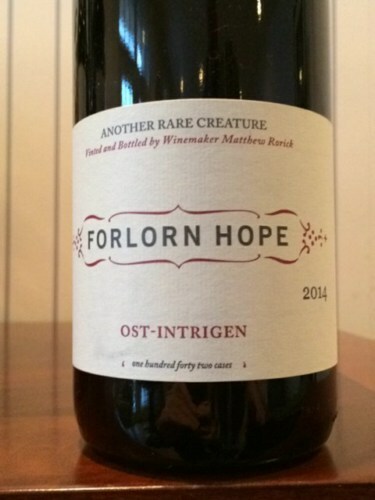 I think the comment I used to hear a lot about trying to find unique wines would be "but that wine will be so hard to sell in the tasting room"... Beer does unique, spirits does unique, but wine "experts," think everyone should enjoy the same expensive, over produced... I'll stop here. "starting to like Cabernet-Sauvignon (in form of Bordeaux) is a question of age"
Is that the age of the wine, or the age of the person? When I started drinking wine, I drank a lot of California wine, especially Cabernet. I pretty much switched to European wine many years ago, and rarely Cabernet. Every once in awhile I'll have a reasonably priced Bordeaux that I like, although it's just a likely to be Merlot-heavy as Cabernet-heavy. And I'm still not sure what food goes well with such wines besides steak and hamburgers. @Bob Rossi: I was talking of the age of the person here. Thanks for sharing this! Hope the wine industry opens their eyes in time. I’ve been telling this for years but no changes. millennial wine rep here. the one element most commentators miss - that the first commenter nailed - is that we’re all broke. a $30 price tag on a shelf is weighed against that month’s student loan payments. most of us will never be able to afford a house. since we’re generally buying wine to get drunk to cope with the near-total breakdown of society and the possibility of apocalypse in our lifetime, why bother splurging? here in Brooklyn we can get great bottles for $10-20 and amazing bottles for $20-$30, but they can’t compete with liquor or beer or Barefoot on booze-per-dollar. generally speaking, the taste needs to be acceptable and the quality higher than freshman-year poison for my peers to buy it, but that’s it. anything above that is a luxury experience, and often - as that array of Chards shows - a disappointing one. at that point, why not buy a nice bourbon? and an unequivocal agree that old regions and labels are near-useless for reaching millennials; individual producers are more compelling than the name of a place your dad took a trip to and won’t shut up about. witness the recent Twitter meme “it’s only Champagne if it comes from the Champagne region of France” (replace Champagne with something absurd and you get the idea). the knowledge we use to navigate the wine world is seen as arcane and pretentious, linked as it is with old plutocrats and the cultural image of the insufferable wine snob. every big-money Burgundy auction makes our jobs just a little harder. if we want to sell wine to my generation (that’s not cheap rosé or Josh), we need to frame it as art in a glass (or, at least, an experience), a relatively affordable way to seriously treat yourself, a way to seriously beef up a home-cooked meal via pairing, and an honest agricultural product (with, yes, proper labeling). and a link in an ancestral, cross-cultural human tradition, a way to return to our roots and experience the bounty of the planet we’re killing. my generation knows when it’s being pandered to - we need to be sold wine on the actual merits. not that most millennials have time or money to slow down and smell the Gravner. i don’t think there’s a good solution to the larger issue short of enormous social change. @Jon R: You point correctly to the issue in the first comments. Can anyone explain to me why a tasting session should cost $45?? Yes, I did pay somewhat less in the past, but there were several wines in the $80+ range which got tasted. And I did tell the dealer that I won't ever be able to buy it, and that was fine with him. Are there legal restrictions against wine fairs!? I am thinking of events where several producers/dealers team up, and all the public has to do is buying a commemorative (INAO type) glass. Of course, it is a question of education… I remember, the most popular non-syllabus at my Alma Mater was about wine; they always had to hold it in the biggest available auditorium. Another thing I remember from that time was that the student organization of the department I studied at, organized an evening with a well-known wine dealer in town, where we learnt quite a bit about tasting and wine in general. I fully agree with your second to last paragraph. Not easy to accomplish, but definitely worth the efforts. the thing is, we know the small producers we love can’t brand themselves - there are just too many of them - so marketers try and brand the region, and it doesn’t work. i think that reveals a fundamental dissonance between the needs of producers and the machinery of global marketing-based capitalism; a tired customer at the end of a long day is more likely to grab a bottle of Josh than try an unknown Domaine du Vrai Vin Vieille Vignes Cab Franc at the same price. individual producers can be a gateway to styles and regions, but only if customers first can really get to know the wines they love, and love the wines they know, and that’s difficult when those wines are $15 instead of $9 (or €3). it’s a perfect storm of retail markups (real estate costs passed on to the consumer) and empty millennial pockets. This is a great post, Blake---but why should the wine industry listen to Millennials? They never listened to any other generation. The wine industry only talks, it doesn't listen. Thank God, because that gave me a 35-year career in the business! "But here's a novel concept for California: How about growing grapes that are actually suited to the climate in your area? And then telling the world about it." My experience has been that even if a vineyardist/winemaker takes this approach, unless you are in the Napa/Sonoma/Paso areas of California, the "tastemakers" don't care, and won't write about it. Fortunately, I'm a 1500 case a year winery, and pretty much sell it all on-site, so I don't have to depend upon what WS/WE/WA think and/or write. Great post. I have been wrestling with some of these concepts for years now. 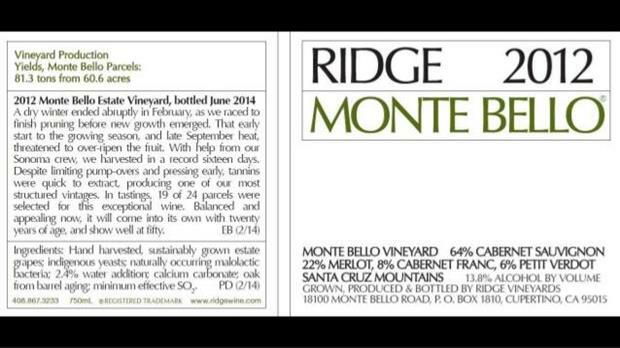 We produce low/no-amine wines but are hesitant to advertise this due to liability issues. I want to say that it will reduce the chances for all the problems that amines bring to the table but food sensitivity and wine/food combination can be a tricky landscape to make any claims. I've been sensitive to wine amines since I can remember and only back in the 90s when I was in the garage first dabbling did I figure it out by using a commercial low-amine producing strain of Malolactic bacteria. We do constantly mention it in the tasting room and point customers to the scientific journals and european purity regulations but have not thought of a good way to do this in advertising other than saying "Clean Wines" but that in itself can spark a lot of debate. Kind of like the West Sonoma Coast calling themselves the "True Sonoma Coast". Does that make everyone else untrue or less? Expect some anger there. Maybe I need to stop fretting and do it anyway, risking the backlash. As for labelling all ingredients, I'm for it (and kudos to Ridge) but I think there has been such an attack on ingredients that I fear that there is not enough education in the market as to what those ingredients do. I can see customers seeing something that sounds chemical-like with disdain although it makes the wine better, and in my case safer for some. Some will say I don't give enough credit to the millennials as they love to dig into the details, but if that is so, why do they not know about amines and still think sulfites are causing these issues. It starts with the millennial myth ... how they are in love with wine. That kind of thinking has made the industry wait for them to be like boomers. Except they as a class aren't wine lovers. They are craft beer and spirits drinkers. And for those who say, everyone evolves to drink wine eventually, how long do you want to test that with the oldest millennial now at 38, and the average at 30? How will we break the code? All parts of marketing. Product? Wine is portrayed as unhealthy to a group of people who value health and sustainably made goods Price? 'Good' premium wine isn't the best value compared to craft spirits and beer. Promotion? Where do we start here? How do we actually reach a wine consumer? How do we convert a spirits and beer consumer into a wine consumer? Is promotion inviting people - in some undefined way - to your tasting room? How are wineries not using their own data to find solutions? ... I could go on and on. Place How do we get family made wine to the consumer, in an era where "now" has become some important? Distribution and hoping it sells in a retail store is a poor solution for most wineries. For the smaller family wine industry to be successful, we have to totally evolve the way we sell and market wine, and find a strategy that doesn't start with "After the consumer walks into our tasting room ...."
There is a lot of work to do, and the best time to start was probably 5 years ago. @Rob McMillan: it often only takes one glass to turn a millennial into a wine lover. I’ve seen it happen over and over again - it’s like a switch goes off, eyes widen - total shock that a glass of wine can be that good. Especially if the vibe is right: sitting on a hilltop in Montalcino, eating homemade pasta and drinking Brunello is, as they say, #goals. Not that we can imitate that experience here, but what’s our version? (I’m 33, by the way.) That’s how a spirits and beer drinker adds wine to their life, I think - by our showing its uniqueness and incredible depth and breath, sensory and intellectual and cultural, again and again. Showing the average broke millennial that they can have some version of that experience regularly without breaking the bank, and then making sure we’re not lying. I suspect many in my generation - at least those with the means - learned to drink wine in Europe as part of a larger cultural immersion, even if just for a couple weeks, and brought that love back with them. They drank very good house wine every night and the occasional bottle of something sublime. Unfortunately bottles of that quality are near-impossible to find on American shelves below $40 if not much more, depending on personal taste. Past generations might have pulled some savings together for some classified growth Bordeaux or top-class Napa; we can barely afford Crozes-Hermitage. If Millennials are interested in new flavors in wines, they ought to try wines from non-traditional, northern and eastern US wineries. Lots of interesting wines being made from hybrids such as Marquette, Traminette, Frontenac, Noiret, LaCrescent etc. And the new wineries are starting to get their "legs" under them, making increasingly high quality wines. Perhaps this is the future for Millennial wine drinkers. No selling stuff in the comments. Buy a friggin' ad. Millwnnials are RAVING about natural wine and FILLING up FOUR whole natural wine bars in my home town of Oakland. Who's paying attention to that? But...Blake, I LOVED this post...I've been harping on the ingredients thing, but you know all too well why the industry isn't embracing it. But wasn't it great to see the CORN SYRUP Superbowl ad from Budweiser? Can you imagine if that happened in the wine industry? And the non-Van-Choc-Strawberry flavors. Pax Mahle has a new grower in Sonoma who's planted five acres of Jura varieties, Johan in Oregon has gone into obscure varietals for Portland indies, and Analemma is up there in the Columbia Gorge with Mencia. It's the corporate wineries that make wine taste the same every year for their brands who are not listening. Remember when Eric Asimov came to Unified two years ago as the keynote speaker at the big luncheon and said - you guys are missing the boat on all these interesting varietals and wines under $20 that people can buy from European producers. Wake up, he said (in so many words). And then what happened? If anything, we haven't seen it yet. Shoutout to southern Oregon for having higher sales to millennials than any value region listed in the SVB report. Part of the reason why is the value. The other part is the willingness of local makers to hire and promote millennials. The diversity or wines available and experimentation doesn’t hurt either. We drink wine. We just don’t drink it like our parents. 1. They are broke: here is a blatant political opine. The boondoggle of govt. guarantees and subsidies for student loans for unemployable liberal arts educations. College professors pull in big salaries from large student enrollment paid for by the Fed. Govt. But the millennial students are not learning things that actually mean real income from employment. Math physics and metallurgy, tool and die, welding advanced materials are real jobs. Studying Multi-cultural oppression by European males, is not an employment skill. Overthrowing the oppression still carried out by upper crusts ruling classes in most Spanish speaking countries in the western hemisphere might be a better career path. 2. Wine labels are full of baloney. I have been selling wine since only 2001. 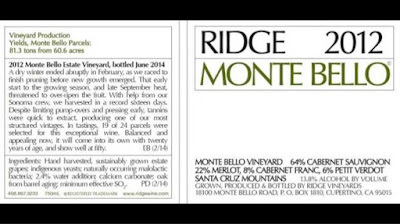 I have long pointed out that Ridge is an honest, educational, useful label. The other 99.995% of labels are worthy of Pinocchio, Madoff, or Jon Lovitz. You can't find and then read the ABV on many, thanks to poor govt. labeling law. The $10 bottles are all handpicked from the finest coastal vineyards??? Our news networks in the US of A also have scared people with crap regarding sulfites and gluten. 3. And of course, Deep Purple. Hey, the Brits call red Bordeaux Claret for a reason. Look up the definition of the foreign word claret. Cabernet is a medium color wine, it isn't darker than Heath Ledger's Joker. Darker is not better. It stains your teeth worse than necessary. 4. Finally, the apocalypse might actually be around the corner if you don't drink Hello Kitty wines. Hello Kitty? Isn't that a kids thing? Who fell asleep at the TTB and clicked on Approved? Postscript -- Maybe Canandaigua getting out of wine will be a good thing. They were the most cynical thing I have seen. Trying to ride one fad after another and jumping off after a few years is not much of a business plan for long term success. Oh, for those who don't remember Cold Duck, Constellation used to be Canandaigua. Cheap sweet fizzers. Good luck with pot and Corona. The birth rate among pot heads is lower than Russia. @pam: and in NYC too! spots like Ops and Corkbuzz are consistently packed. agreed with @SOWino 100% and glad to hear you’re thriving. i highly recommend that last piece to everyone who’d like to better understand what we’re dealing with. there’s no reaching wine drinkers of my generation without accounting for these realities. to Jon r. why are millens poor when the economy is creating more jobs than there are people avail to fill them? Service econ jobs don't pay much. there is plenty of demand for skills. not much demand for liberal arts degrees. yes??? as for learning our place in history, try Cincinnatus by Garry Wills, Geo. Washington's farewell address, and take a look at the gift from France: the Statue of Liberty. Ponder for a while what Liberty means and how it is achieved and preserved. In an earlier post you wrote you suspect many in your generation learned wine in Europe. which, if true, points out the poor marketing by wine industry here. but I don't think a significant percent of millens have been to Europe. Also, with a minimum wage job (that's about what is created), you can not build up a cellar. Well said! California tastings are too expensive, the wines are too expensive, and their all the same crap. I don't even drink California wine anymore, there are so many new and interesting wine regions even within the U.S. I will offer a useful gamut for consumers to try. Look on the label for who made it. Look for the "Produced and bottled" and lean toward that and lean away from "cellared" or "vinted". "Produced" is the legal word in USA that means who actually fermented grapes into wine. If it says "produced by", you probably can actually visit the winery or talk to the person who took in the grapes and crushed and fermented them. The words vinted and cellars are meaningless, it tell us that the brand name on the bottle probably blended or merely bottled wine that they bought. It is no guarantee that the resid sugar is minimal, no super purple, not way low acid and way hi Ph, but it is a guiding point. The term "Estate produced and bottled" in the USA law is even better, it refers to the location and/or ownership of the vineyard in relation to the fermentation and bottling site but I think that being "Produced" is good enough to be a guide. Be aware the word "estate" in the name of the wine brand has no meaning. It's great that this article is finally addressing why younger people are spending less on wine, instead of claiming that they just like ruining things. Thanks! One major factor that is missed time and again when people talk about marketing wine is that the marketing angles currently used consistently rely on promoting a lifestyle that appeals to older generations, but not as much to younger ones. The aspirationals in the Boomer demo go for the lifestyle branding that tells them that if they drink wine, then they are in a higher socioeconomic class, so you find motifs like being waited on, rubbing elbows with celebrities, or impressing people as being major benefits of the wine lifestyle. Millennials don't value those things as much as the Boomers do, so relying on those tactics won't work if you're trying to attract younger drinkers. It's mostly Boomers making the marketing decisions in these wineries, and they don't seem to understand how someone could desire anything other than the lifestyle they have personally chosen. @Jon R- You are exactly right about Millennials being priced out of the higher-end wine bracket, and even the moderately priced market. You see this first-hand when you live and work in the wine industry. The overwhelming majority of people visiting Napa Valley, for example, are still Boomer aged; most Millennials travel in groups, splitting the cost of everything from tastings to hotel rooms, and rarely end up purchasing wine or signing up for clubs, because of the price gouging. I don't think that the wineries realize that their pricing schemes aren't sustainable. There will be a time (probably sooner rather than later), during the next economic downturn, when people won't have the expendable income to pay for these high prices and wineries will be forced to either devalue their products through price reduction, burn through savings to keep afloat during periods of slow sales, or sell off brands. Aside: growers are more likely to be risk averse, having a longer investment horizon than winemakers. Buying grapes for short term experiments is a much smaller investment of time and money for winemakers. Blake, I thought you were discussing uniqueness in this post, not value. It seems unfair to discourage CA winemakers (and your readers) from trying Sangiovese again more than 30 years after we/Villa Ragazzi planted the first Sangiovese in Napa Valley in 1985 - because Italians can produce it for less money. Arguably, nearly any wine produced in Napa Valley can be made elsewhere for less. Is that a reason to deny those who prefer Napa Valley wines or want to try them? Most (Araujo, Shafer, et al) who tried Sangiovese in the 1980’s and 1990’s quickly gave up (disappointing wine, poor sales, better opportunities to make money). A few of us (in Napa, Sonoma, Sierra Foothills, Central Coast) have persisted and succeeded, in a modest way, with Sangiovese — mostly, I’m convinced, due to good luck planting the right clone in the right place for that clone. [I can give you a list of producers who use our Rodeno clone if you’re interested in doing a Sangiovese tasting; it's interesting how the same clone performs in different sites.] There are many Sangiovese clones, some common and uninteresting, and a few truly outstanding if/when the vines like where you plant them. Winemakers have tried unusual varietals/wine types for many years, and nearly all of those Next Big Things flopped commercially (think Viognier). That doesn’t and shouldn’t stop them from trying. Things have changed - every year we learn more about terroir, viticulture, clones, and winemaking, so giving previous failures-to-thrive another chance is not as dumb as it may appear. Try again! Bless 'em, our open-minded Millennials are likely to be receptive to innovation. replying to Heidi, the marketing on the labels, which I look at 8 hrs a day 4 or 5 days a week, is as bad as the marketing you point out in adverts etc. It is so sad to watch consumers, all ages, all econ stratus, new or long time drinkers, still looking at the shelves and not getting any benefit or useful info on 98% of all labels, where the cost of producing a smart message is the same as printing crap. and I am relaxed. I drink red wine. What could be more relaxing? Really enjoyed reading this post and the comments. Let me just add a little interesting tidbit... From The Boston Globe yesterday afternoon: "Gronk is all grown up and drinking wine at the 2019 Patriots Parade". When and how will the wine industry shake off this idea that only grown ups can drink wine? Or does the wine industry even want to change this mindset? I'm a millennial (I'm 34), and a wine collector: I have around 250 bottles in my cellar. My experiences point out some things that I don't see discussed so much in the "what do younger wine drinkers want?" literature. I want things that a) taste good, b) have some personality, so that tonight's bottle doesn't taste the same as last night's, and c) don't make me feel like I'm getting ripped off. This is true at all price points: when I spend $200 on a bottle (which does happen every year or so), those criteria apply the same as when I spend $15 (which happens more often). These points seem to not have come up so much in all the discussion of us wanting some romantic story or being broke or seeking some healthy thing or whatever. Obviously we are a diverse group, but to me the romantic story is overblown given that we are talking about grape juice here. And the being broke factor ignores the fact that lots of us make decent money. We just object to being overcharged for marketing -- and that includes any romantic stories of hand harvested grapes planted by unicorns. Just make decent wine, that is distinctive, and charge a fair price for it. I'll buy it by the case, and so will my friends. One aspect of alcohol and youth we haven’t discussed is the influence of current laws on Millennial drinking habits. When I was 11 years old, I lived in Marin County. My parents would toss me and my brothers and sister into the car on weekends and we’d travel up to Napa Valley. In the late ‘60s, not a soul in Napa cared about our ages and I would always get a taste of wine. It was just a splash in a glass, but oh my, I felt so adult! More importantly, this simple process taught me how to drink. By the time I reached high school, friends, who had not been weaned on wine, wanted to get “smashed.” The wine they drank was terrible and I knew they would feel awful the next day. This is how I learned to drink responsibly. Now, in 2019, Millennials were raised in an era where the drinking age is 21 and, in some states, parents can be penalized for offering alcohol to their children in their homes. Never mind that young soldiers who engage in dropping bombs in the Middle East, come back to the U.S. and can’t even walk by a tasting room without seeing a fluorescent orange sign that says, "No one under the age of 21 may enter without being accompanied by their parents." Small wonder that Millennials have what we baby boomers perceive as strange drinking habits. "I sometimes tell wineries that they should take their youngest employee and put them in charge of their social media program. Allow them to interact with people. Instagram videos are the hot thing right now but soon there will be a hot new thing. Hell, I'm not a millennial: maybe there already is." I've worked with some millennials who are amazing communicators, and some boomers who are more tuned in than they get credit for. And I've worked with millennials who have risked their winery's social media by being distracted by the newest, shiny thing. And I've worked with a lot of boomers who don't feel equal to taking on something "new" and if they do not recognize that social media IS a communications tool, they gratefully unload it on a millennial (or younger) staff member who is supposed to know what to do simply because s/he is a compulsive smart-phone user. Social media has become an important communications tool and the job should be assigned on the basis of skill, training, creativity and interest and, like most things, those are not unique to any one age group. When social media is well-handled by a millennial, it's because that millennial is good at his/her job, not simply because they are a millennial. Let's give them some credit. And, yes, I'm not a millennial, and yes, I work extensively in social media in the wine world. Being that I’m a millennial I completely agree with these points especially the listing ingredient part. I usually try to buy more expensive wine in hopes it won’t have bad additives but I really don’t know. I read all ingredients in the food I buy at the grocery store and I’ll pay more to have something with better ingredients and I know not alone.